BMW 7 Series Interior, Sat Nav, Dashboard | What Car? When opening the 7 Series, you can use either of two keys, one of which features a 2.2in screen that displays information about the car. 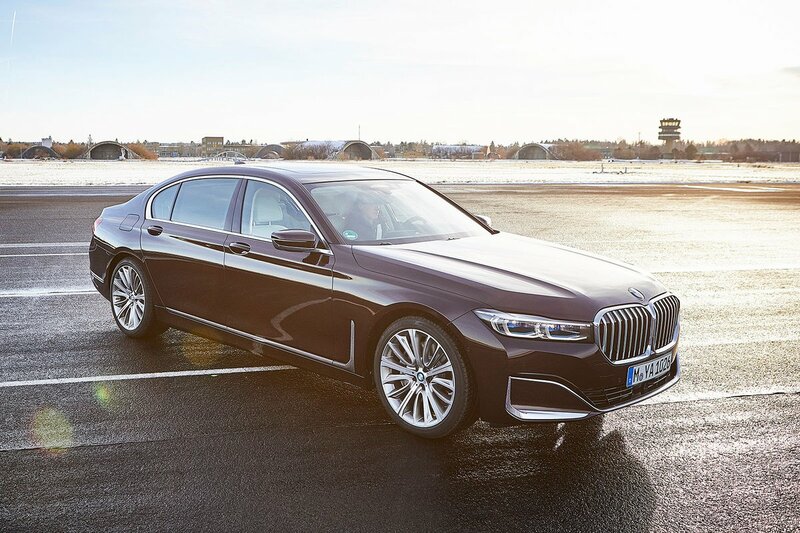 Once inside, it’s good news for the 7 Series driver; there’s electric seat and steering wheel adjustment as standard so it’s easy to create the perfect driving position. 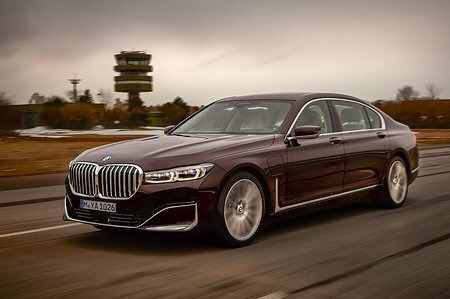 Should you share your 7 Series, you’ll appreciate that there’s a memory for the seat and wheel, too. If we’re nitpicking, though, the seat heating and optional ventilating and massage functions could be a little more vigorous. 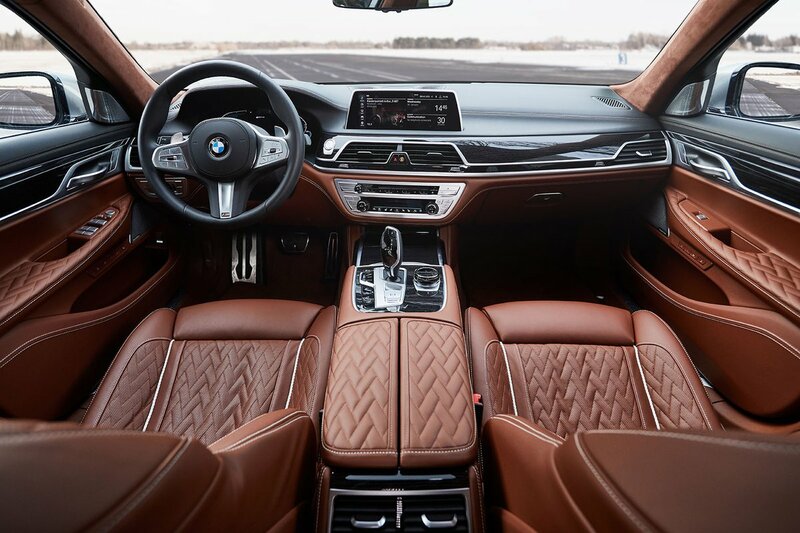 The interior is plush and trimmed in leather with extensive use of wood veneers and metallic surrounds. The dash and centre console have a familiar BMW look, albeit with a smattering of smarter-looking switchgear to indicate the car’s status. Those familiar with BMW’s newest models might think it seems distinctly last-generation and not a huge jump up from the 5 Series, though. All versions have BMW’s Parking Assistant Plus pack as standard. Not only do you get front and rear parking sensors, there’s also a surround view camera that can be accessed remotely via your smartphone, a reversing assistant that can steer you out of tight situations and a self-parking system. Considering even the short wheelbase 7 Series is over five metres long, this is an exceptionally useful addition. BMW’s fantastic iDrive infotainment system can be controlled by a number of different methods. There’s the good old-fashioned rotary dial between the seats that’s a cinch to use on the move, while the screen itself is touch sensitive – handy for inputting sat nav locations when stationary. But wait, there’s more; gesture control allows you to skip music tracks, change the volume and a few other functions by waving your hand in front of the dashboard. Then there’s Intelligent Personal Assistant. This takes voice control to the next level, responding to ‘Hey BMW’ (or whatever you choose to name your car) and then a naturally spoken command such as ‘I’m cold’ or ‘take me home’. It might sound just as gimmicky as gesture control, but it’s actually surprisingly good and can deliver what you ask for much more quickly than by scrolling through the menus. BMW’s optional rear entertainment package is a nice touch. Used together with the car's standard wi-fi preparation (data packages are sold as an extra), passengers can be working on a laptop or streaming a film, which can in turn be mirrored on the rear screens. They can also show how a journey is progressing on the sat nav and be used to change certain vehicle settings. However, while impressive, it doesn’t have quite the functionality of the system offered in the Mercedes S-Class.